Spike Lee Slammed By Boots Riley: "Blackkklansman" Is "Fabricated" - Pop It Records - NEW MUSIC EVERYDAY! 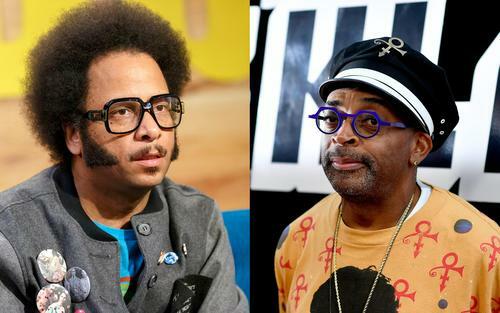 Spike Lee Slammed By Boots Riley: "Blackkklansman" Is "Fabricated"
On Friday, Boots Riley tweeted a long essay that sought to dismantle Spike Lee's Blackkklansman as a legitimate "true story." His main point was to expose his belief that Lee had falsely illustrated events in the movie to make law enforcement appear heroic. Riley claims the film is full of “fabricated story notes” about its protagonists, Ron Stallworth (John David Washington), the black detective who successfully infiltrated the Ku Klux Klan with his white partner. The Sorry To Bother You director wrote about how the latest Spike Lee joint is purposefully being inserted into the public discussion while a new school of civil rights activists is rising. The essay goes on to explore the many incongruencies between the film and the supposed facts. The tweet is available for viewing below. "Stallworth wrote a memoir to put himself in a different light, but let’s look at what else we know. There was no bombing that Stallworth or the police thwarted. This was not in Stallworth’s memoir. That was made up for the movie to make the police seem like heroes." According to Riley, Stallworth was actually behind terrorist attacks against the African American community including the assassination of a Civil Rights organizer from Detroit, church bombings in Birmingham, and the Greensboro Massacre of Communist Workers Party members in 1979. Riley concludes the essay with a reference to his previous declarations about Spike Lee, who had accepted $200,000 from the NYPD for an ad campaign that was "aimed at improving relations with minority communities.” In his opinion, this film feels like an "extension of that ad campaign"